Water Resistant Inkjet Paper 140gsm to fit Canon TM-200 & TM-205. 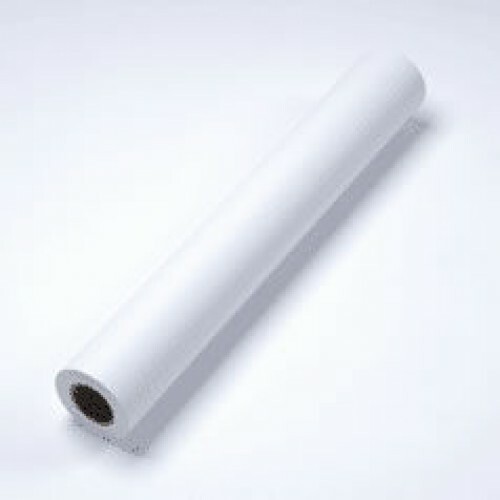 This high quality paper is sup..
180 micron Tear Proof Matt Banner Film to fit Canon TM-300 & TM-305 Printer. This economical, te..
HP Designjet T520 A0 Water Resistant Inkjet Paper 140gsm. This high quality paper is superb for mounting external graphics. It has a unique flexible, instant drying coating which is resistant to cracking and will accept a high resolution up to 1440dpi with excellent edge definition of images. This versatile paper offers an optimum level of water resistance in areas of high humidity and moisture using both dye inks and pigmented inks. It is compatible with thermal and piezo technologies.